Yesterday afternoon, I posted a little survey on Facebook to see if y’all wanted cupcakes or quinoa today. …….I don’t know how that happened. If you’re upset, I’ll let the management know. And by management, I mean my cat. Anyway! It’s totally fine and be on the lookout for the cupcakes on Monday. They’re not going anywhere. Well, except my belly, that is. 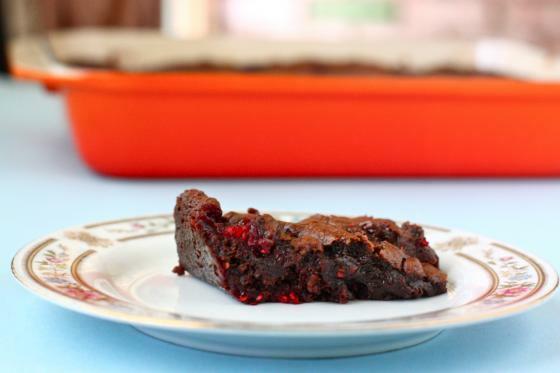 Though it’s true I have a massive sweet tooth and love nothing more than baking delicious desserts, I can appreciate a healthy little vegan meal like this one. You see, I developed this recipe so I could have a yummy portable meal to take with me to the studio on long teacher training days. And by long, I mean nine hours! You need some serious quinoa for nine hours of yoga. Oh, and news flash! You’ll feel so much better practicing yoga after eating quinoa than you would if, say, you ate a burger. Not that I would know from experience or anything! I like this dish because it’s fast, it’s tasty, it fills you up and it’s CHEAP! Who likes cheap meals? Hand raising high! And you know my favorite part? The roasted cherry tomatoes! Man, are they ever tasty! Roasting tomatoes caramelizes the sugar and makes them as sweet as candy. They’re perfect to brighten up the flavor in pasta dishes, salads and quinoa dishes like this one. This is a great recovery meal. Perfect for those times after you let yourself into your boyfriend’s house, pour yourself what you “think” is a cheap glass of red wine and then later, realize you opened up his super duper expensive and most special bottle. The only thing left to do is to celebrate life and drink the whole darn thing. Not that I would know from experience or anything! Serve this dish as a side alongside some grilled chicken or fish. I ate some with a big scoop of hummus the other day and it was awesome! I felt so healthy I couldn’t stand it. Then, I baked the cupcakes…the cupcakes that you will see Monday. Spread the walnuts out on a foil-lined sheet try and toast for 3-5 minutes, until golden. Remove and place toasted walnuts in a mixing bowl. Spray foil with cooking spray and place cherry tomatoes on top. Roast tomatoes for 30 minutes. They will start to burst and char—you want this! After 30 minutes, remove tomatoes from the oven and place in the same bowl with the walnuts. 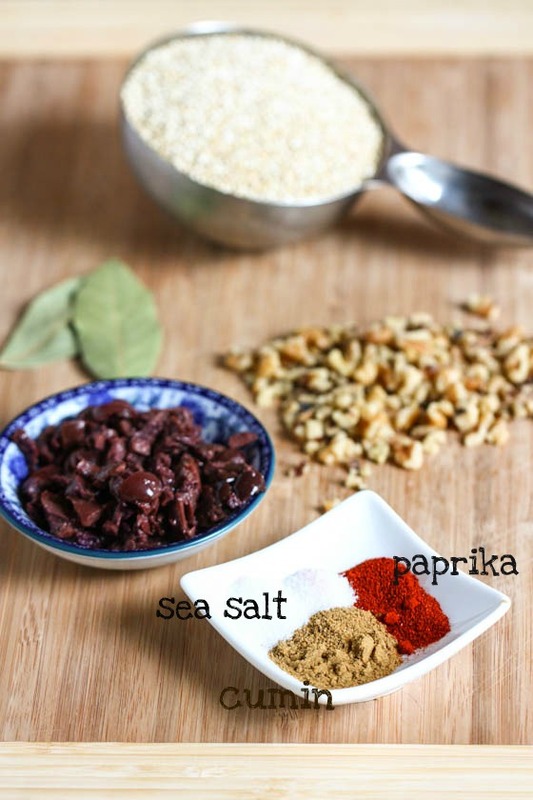 Combine the quinoa, bay leaves, water (or broth) and spices in a saucepot over high heat. Bring to a boil, then reduce heat and simmer for 15 minutes, or until quinoa has absorbed all the liquid. Add the quinoa to the walnuts and tomatoes and stir in the olives. Season with salt to taste. I love roasted cherry tomatoes in anything so this looks like the perfect salad for me! Food always tastes SO good after exercise. Your black bean, grapefruit, quinoa recipe has totally been my go to so far… but Im VERY up for giving this a try. Roasted tomatoes are definitely the best! I would like to just say hello to my lunch for today. I’ll be having it with leftover kale salad from last night for extra points. This looks like the perfect meal before a cupcake! I’ve been loving those cherry tomatoes and have been thinking about roasting them. PS now I am picturing Dexter in bifocals and suspenders during his management hours. Thank you, thank you, thank you Jenna! I’m a super sweet tooth myself, but I do love my quinoa! I’ve been on the hunt for a new quinoa recipe – one that sounds as easy to make as it sounds delicious. This one delivers that and so much more! I can’t wait to try it out. Swooooooon! I’ve been on a huge quinoa kick lately – mostly cold salads, but this sounds like a great change. Happy weekend Jenna! This is so similar to a Spicy Quinoa I made! I love it! …and so nutritious! this looks SO good. thank you! 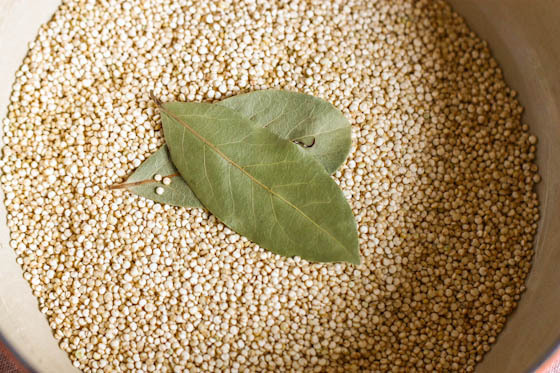 I mean – when quinoa looks like this…I can ALMOST see why it beat out cupcakes! This looks awesome Jenna. Yum! I am on a quinoa obsession these days, oatmeal, sides for dinner, what have you. I’m glad to add a new one. I’ve had quinoa with pine nuts, I bet theses walnuts were great too. yum – roasted veggies!! Makes me wish it was summer!!! Since my roommates and I have a surplus of quinoa (like 6 boxes between us!) I think I’ll be putting this recipe to good use soon..and maybe invite friends over to help get some of it out of our pantry! Thanks for a great recipe-the tomatoes look gorgeous! We love quinoa! Caleb even loves it-he laughs every time we say the word! Love this recipe! I have been craving something like this Big Time. My cat is The Management also. I have been on a real quinoa kick lately. I have been experimenting with it for breakfast mixing it with oats and such! I am really liking the endless possibilities! This salad looks delicious! And I cannot wait for the cupcake recipe on Monday! Just used some roasted (almost past their prime) sugar plum tomatoes in a version of my meatloaf muffins. SO good. I love how roasty toasty they get. The tomatoes look so pretty – along with the rest of the recipe. I have to say – I just can’t get down with black olives though- I’d have to use green. Green olives would be fine! this looks great, I like how you tossed in some walnuts. Good call! You are hilarious. The whole cat manager thing really got this cat lady. Thanks for some laughs and a gloriously healthy recipe! I love your posts on savory dishes! I need some fresh tomatoes in my life. C’monnnn summer! Mmmmm… yummy! Quinoa over cupcakes any day! This looks great. I am on a serious quinoa and yoga kick lately too! Can’t wait to try give this a try! This looks amazing. Perfect for bringing to work for lunches. I love the flavor of roasted tomatoes. Yum! I’ve been eating a lot of quinoa salads for lunch and this sounds like a great way to spice it up! I actually voted for the quinoa. Me, the sugar-holic. Yet I’ve been CRAVING quinoa. What’s wrong with me?! 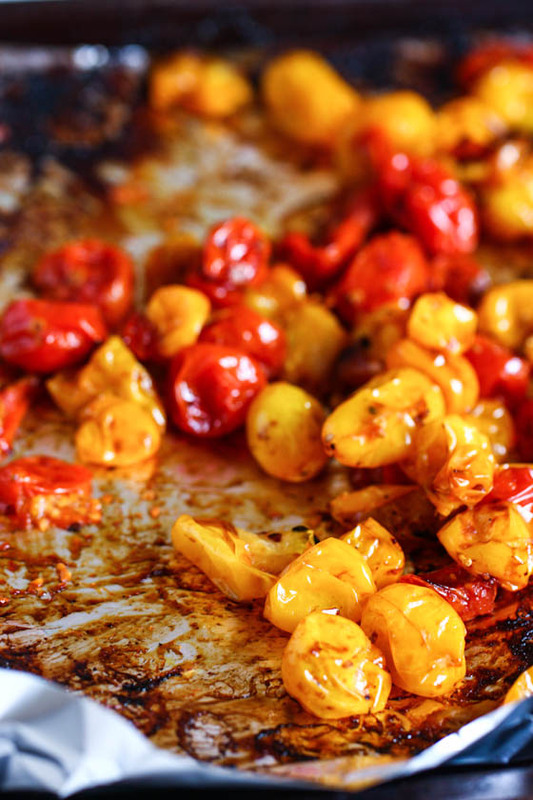 Can you get a similar roasted tomato effect by sautéing on thd stove? No it will be different because roasting actually caramelizes the sugar in the tomato, while sauteing will just sear them. You could totally saute instead, but they won’t have that really sweet taste and chewy texture of a roasted tomato. Thanks. You do know your stuff! Olives and tomatoes are so perfect together. I can’t wait to try this! Whoa. This looks delicious. I love roasting tomatoes. Also, I think you should get your cat a t-shirt with the word “management” on it. I’m always looking for more simple things to do with quinoa. Thanks! My kind of dinner. 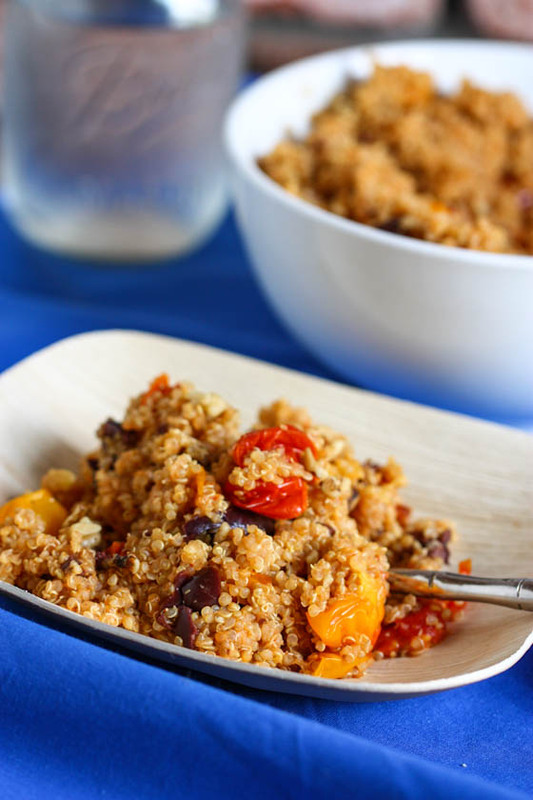 I LOVE quinoa and roasted tomatoes! this quinoa looks so pretty. love the roasted tomatoes! I have definitely found quinoa + yoga to be a super effective combo. And toasting the walnuts/roasting the tomatoes is genius. But quinoa over cupcakes?! Looking forward to Monday fa sho! Per usual, beautiful photos, Jenna! I’ve been looking for more ways to enjoy quinoa. Also, the roasted cherry tomatoes look so fantastic! I am saving this salad recipe and will try it out soon! I’ve never had quinoa, but it is showing up everywhere! This looks like a great recipe! I’ll have try it soon! 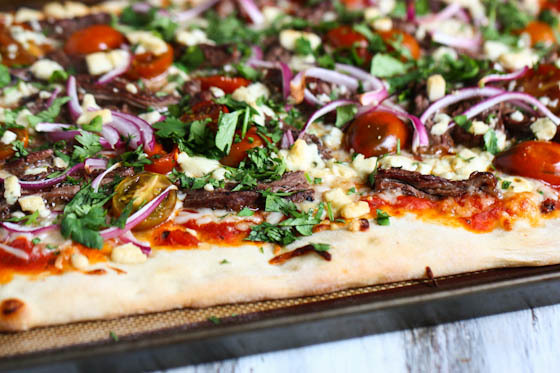 I love all the texture in this recipe …. not to mention the flavors. I love the idea of adding the walnuts in for some crunch! yummmmm!! where do you suggest getting the cheapest quinoa? 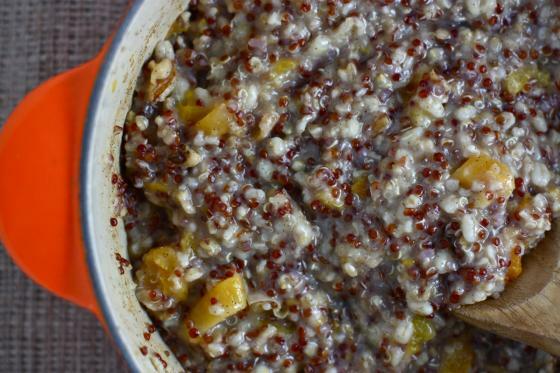 I’m [mildly] obsessed with quinoa and will absolutely be making this pronto! yum! 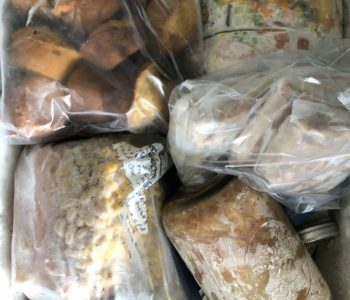 thanks for posting a gluten-free recipe Jenna. Just found out I’m gluten intolerant and its been a rough few weeks of learning how to get around the bready stuff. this is will hit the spot! How is it that I did not know you had a Facebook page?! I must like it immediately. This looks faaaabulous…and I just replenished my quinoa stash! I didn’t know you had a FB page either, Jenna. Off to like it! I just made this to have on hand for lunches for the week. It is so tasty. I did add some lemon juice because I felt it needed some acid. The olives totally make this and I love the crunch from the walnuts. I also made your caramelized brussel sprouts — I was all about ELR in the kitchen today. Thanks for the great recipes! WOOOO! I’ve been searching long and hard for a great quinoa recipe and I think I just found it! 🙂 can’t wait to try this it looks amazing! Yum!! I love cherry tomatoes! My quinoa supply is lacking at the moment, but would love to try this mixture over pasta with a little added goat cheese. And will definitely try it over quinoa next time I have a chance to grab some from the store! What an excellent combo! I’ve def been on the lookout for meals that hold up well for long days at the office (unfortunately). Delicious! 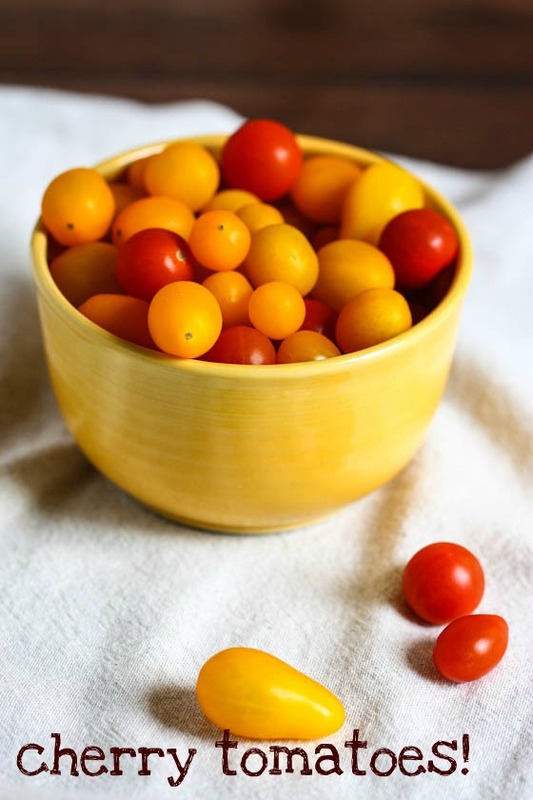 Roasted cherry tomatoes are little pieces of heaven on earth…so yummy! Loved this post, Jenna! I could always use a few recipes on different ways to eat quinoa. 🙂 Thanks! This looks absolutely delicious! 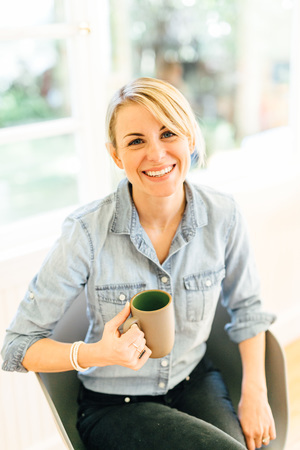 I have followed your blog for a few years now and I’m not gonna lie, I miss all the healthy recipes (I don’t have much of a sweet tooth so I just can’t get that excited about cupcakes and cookies like everyone else – I know, what the heck is wrong with me?!) Thank you so much for posting this quinoa recipe. Hi there! I made this recipe today because it looked so delicious AND healthy! Thanks for sharing… this was my first experience with quinoa and I’m glad I tried it! I just wanted to clarfiy with you that 3 cups of liquid is correct. I’ve always used a 1:2 water ratio. I am making this currently as described above and there seems to be a lot of unabsorbed water. Thanks for your help..
Best quinoa recipe I have ever made, so flavourful! I am not a huge fan of olives so I replaced them with some goat’s milk feta. I also added in some green onions. I did find that there was quite a bit of liquid for the quinoa I use so next time I would decrease the amount of liquid. 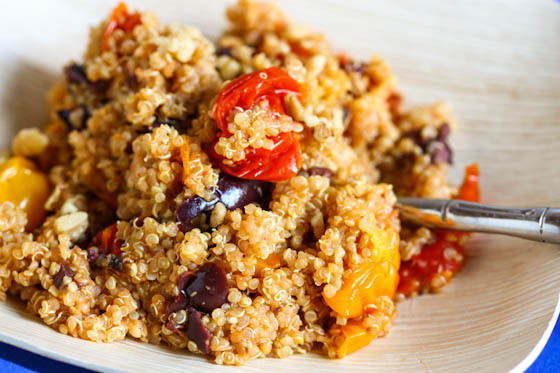 Thank you for this wonderful recipe, it will be my go-to quinoa recipe from now on! I made a double batch of this to serve at a family gathering and everyone loved it. I didnt see where it sait to serve it cold, but it tasted fantastic warm. I have already sent the link to one sister! Please keep the healthy dishes coming, but stick a few sweet ones in there too! I just picked a bunch of cherry tomatoes from my garden and had no idea what to do with them, until I remembered these roasted tomatoes. So simple but soooooooooo good-I just ate about 20 straight from the pan. Love your site! Congrats on the book release-can’t wait to get my hands on a copy! Just made this for dinner and unfortunately, the water quinoa ratio is too high. It was really mushy. The taste was fine, but ratio should be 1 quinoa/ 2 water.